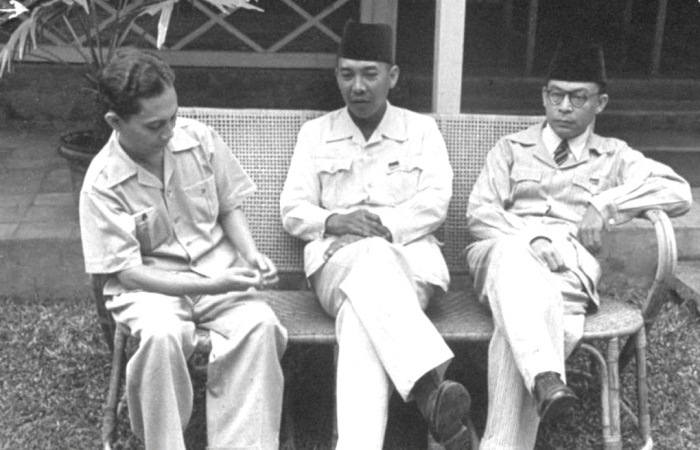 Indonesian nationalist leaders Sukarno and Muhammad Hatta (centre and right) worked closely with the Japanese to achieve Indonesian independence. However, with their knowledge, Sutan Sjahrir (left) went underground to oppose the Japanese and thus make future relations with the Allies less problematic. 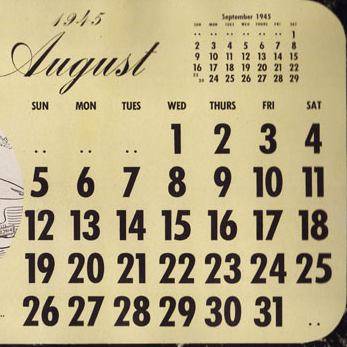 7 August 1945. 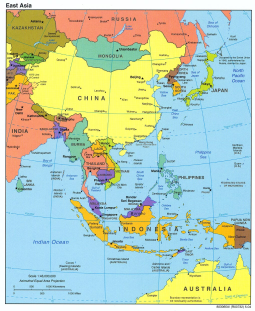 After months of work by an investigatory body planning for Indonesian independence, the Japanese announce a new preparatory committee (PPKI) to implement the transition. This committee includes representatives from the outer islands as well as Java.